You Never Know When Inspiration Will Invade Your Soul! To share this page, copy ﻿http://www.JeffResnick.com/s83.html﻿ and paste it into your social media posts! You never know when inspiration will invade your soul. Two months later, the local Arts Council sponsored a performance by the Rochester Philharmonic Orchestra, to be held in the local high school auditorium. 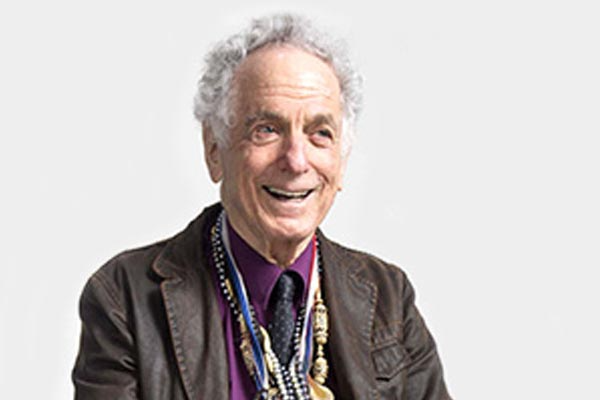 The guest conductor was announced to be David Amram, a musician I had not yet heard of. The pre-concert publicity identified Mr. Amram as a young composer/conductor who had here-to-fore shocked the Classical world by composing Orchestral Jazz, and even performing as Jazz soloist from the conductor’s podium! Shocking, indeed, for 1973. This was a performance I had to see and hear for myself. The next day, I was inspired to go out and buy a Recorder. No, not a tape recorder. A musical instrument called a Recorder, which grammar school kids learn to play as their first-grade introduction to music! To be honest, I thought about buying a penny whistle, but it seemed too obvious a sell-out to copy something David had already done. So, I bought a Recorder. Assuming that mastering it would be 'kids play,’ I was dismayed that it took me several weeks of non-stop practice to master the instrument to the point of daring to play it in a musical setting. But as I learned the ins-and-outs of the Recorder, I began to conceptualize the next concert appearance of the college Jazz Ensemble. Experiencing David’s concert had inspired me to approach performance from the perspective of a Big Picture canvas, not merely a series of Small Picture snapshots. In other words, a concert could be one continuous encounter with the audience, each section a link in the chain of the overall musical structure, each connected to the one before it and the one after it. At the time, a number of Rock artists were experimenting with such Big Picture performances and recordings, but this style wouldn’t really take hold for many more years.